The federal government has launched a major marketing campaign to give Belgium's public image a boost, both at home and abroad, writes De Morgen. 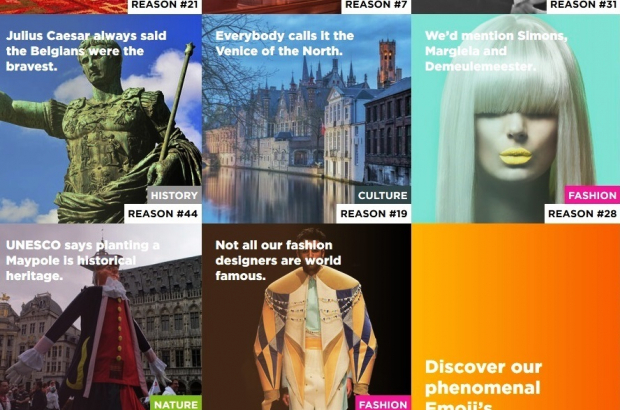 The campaign gives 99 reasons to visit Belgium, or to invest there. “Because 100 would be a bit over the top,” according to the campaign website whose aim is to demonstrate how 'uniquely phenomenal' the country is. The campaign, which will run for two years, includes a dedicated website and posters spread out over Belgium's largest cities, airports and railway stations. The website provides readers, in four languages, with 99 good reasons to (re)discover Belgium and its art, gastronomy, tourism, sport and culture, or simply enjoy a taste of “the good life”. The campaign also aims to convince foreign investors of Belgium's qualities, with a particular focus on the neighbouring countries, as well as Canada, China, Japan and the United States.